If the idea of quitting cigarettes and moving to vaping appeals to you, then you might find yourself a bit overwhelmed by all of the options available. 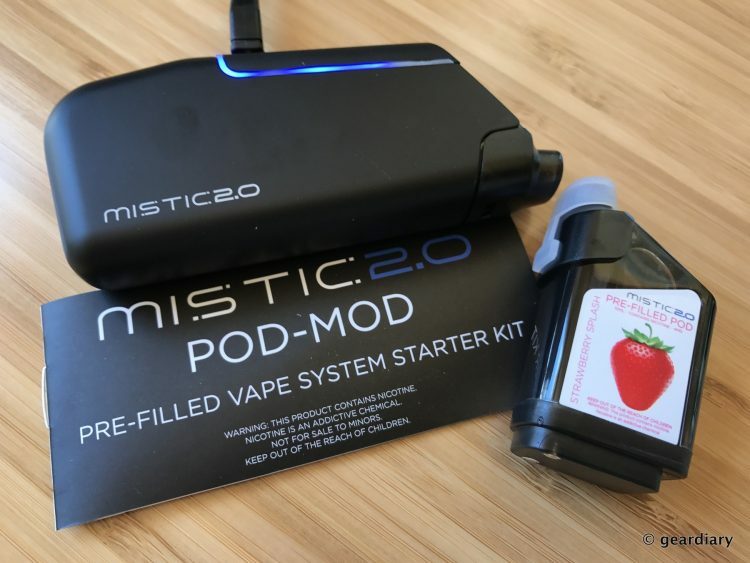 If you want to jump right in with a non-intimidating kit that works right out of the box, then you might want to take a look at the Mistic 2.0 POD-MOD system. 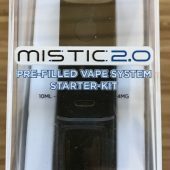 The Mistic 2.0 system starts with a $49.99 starter kit which includes the vaporizer and two pre-filled pods; the beauty of this system is that when you want to swap to a new pod or change flavors, there is no need to change coils or clean tanks. 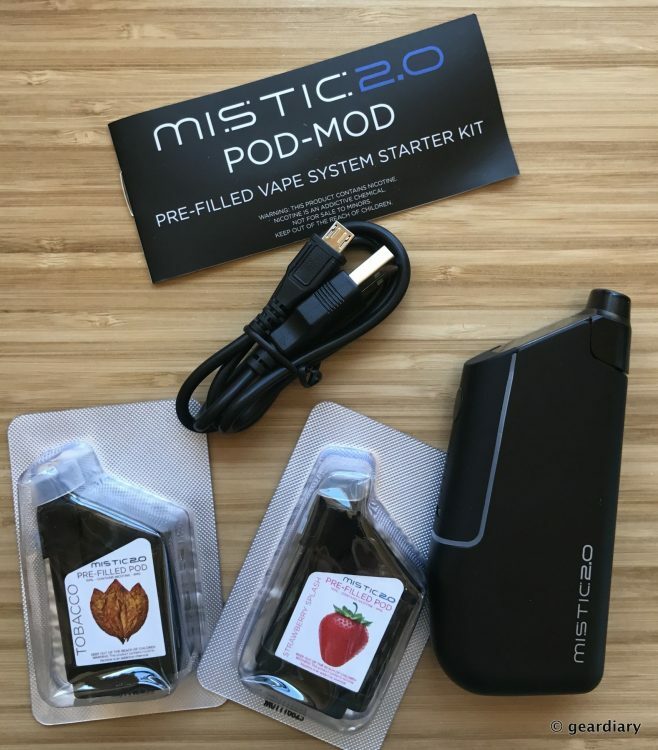 I received the tobacco and strawberry starter kit; it includes a solid black vaporizer and tobacco and strawberry flavored pods to get you started. The menthol and cherry kit includes a black and white vaporizer with menthol and cherry flavored pods. For what it’s worth, I think the black vaporizer looks a lot better than the black and white one. 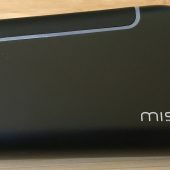 The Mistic 2.0 has a 1700mAh battery; it ships fully charged, but when empty it takes about 3 hours to charge. Included in the box are one 10 mL Tobacco e-juice POD, one 10 mL Strawberry e-juice POD, a USB charging cable, and a user manual. 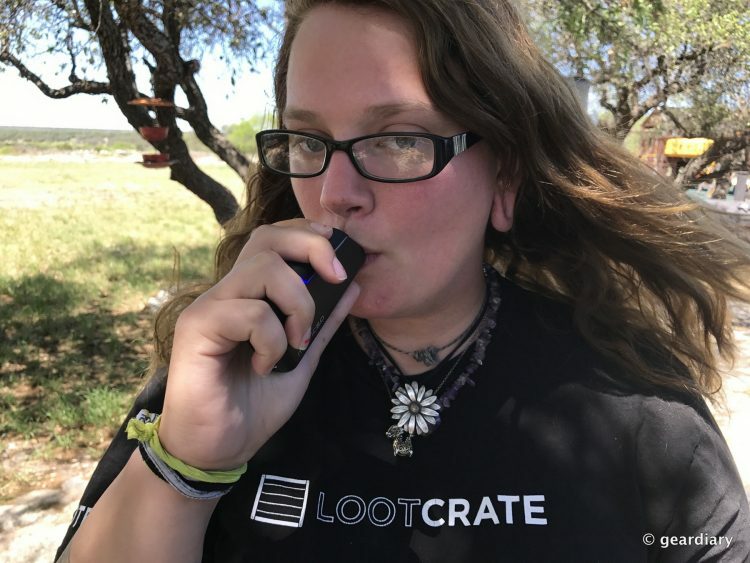 My daughter, Sarah, is a vaping aficionado, so she got to be my guinea pig for this review. 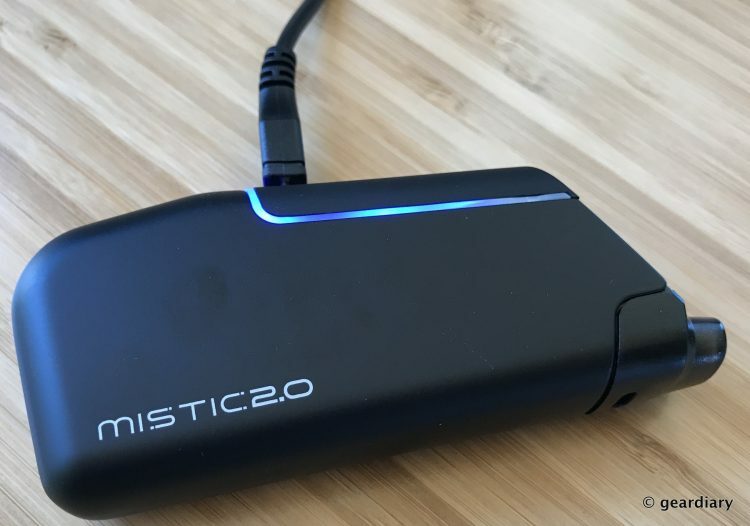 The Mistic 2.0 measures 4.1″ long by 1.9″ wide by 0.9″ thick, and it weighs 5.9 ounces. The exterior is covered in a soft-touch material; my daughter says it is sleek and velvet to the touch, and it fits perfectly in her hand. A blue light glows when the vaporizer is charging. … and then you just slide it into the top of the vaporizer. To activate the battery and turn the vaporizer on, you press the round power button rapidly five times. The five LEDs on the front will blink five times to let you know that it is activated. You can also lock the vaporizer (so it won’t accidentally activate while in your bag or pocket) by clicking the power button five more times rapidly. While the vaporizer is locked, you can press the power button to see the remaining battery life. The Mistic 2.0 vaporizer has 0.25 coil resistance and 30W of power; its temperature setting is 550º. 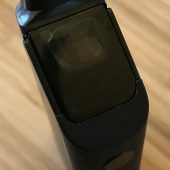 In order to vape, with the vaporizer activated, you press and hold the power button; if you hold the power button down for longer than 10 seconds, the overuse protection mode will kick in — the battery will automatically shut off, and the blue activation light will blink three times. The vaporizer will also boot into standby mode if it’s not used within 10 seconds of activation. • $49.99 for the vaporizer and two pods is a really good deal (the vaporizer is basically free). • She really likes the design of the vaporizer. • This is a great starter vape for people who are new to vaping. • Not having to deal with spilled e-juice and replacing coils is fantastic. 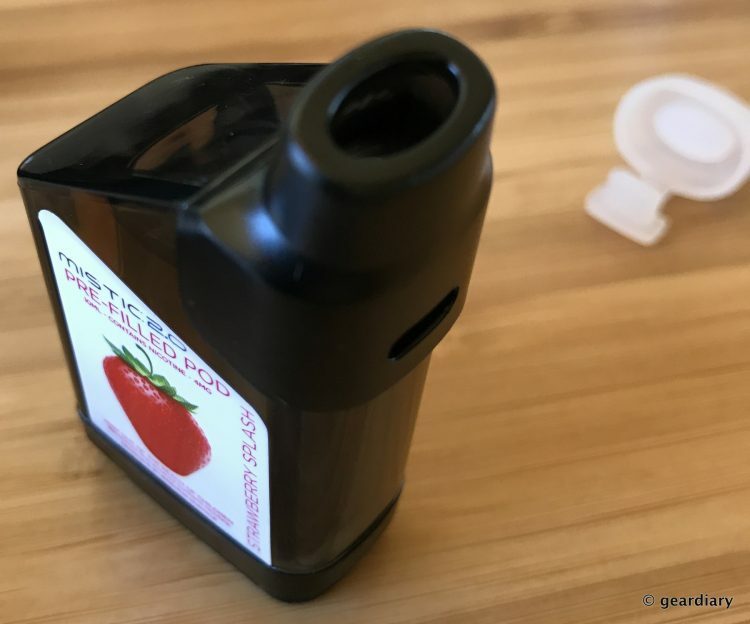 • The e-juice tastes good and is incredibly smooth; the vapor put out by the PODs is satisfying and good, but it’s not huge (if vapor cloud size is a big deal to you). 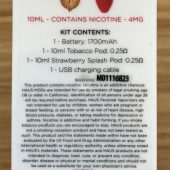 • The 10 mL PODs will last 2 1/2 to 3 days unless you are a heavy user. • The 1700mAh battery makes the vaporizer last all day without recharging. • It gets warm, not hot with extended use (that really impressed Sarah). • The Cosmic PODs have the same nicotine as the other PODs, but you can’t actually taste the nicotine (she likes that). • Sarah usually buys a 60 mL bottle to refill her vaporizer, which costs $30. 10 mL PODs are $19.99 each, but you are trading ease and convenience for bulk. 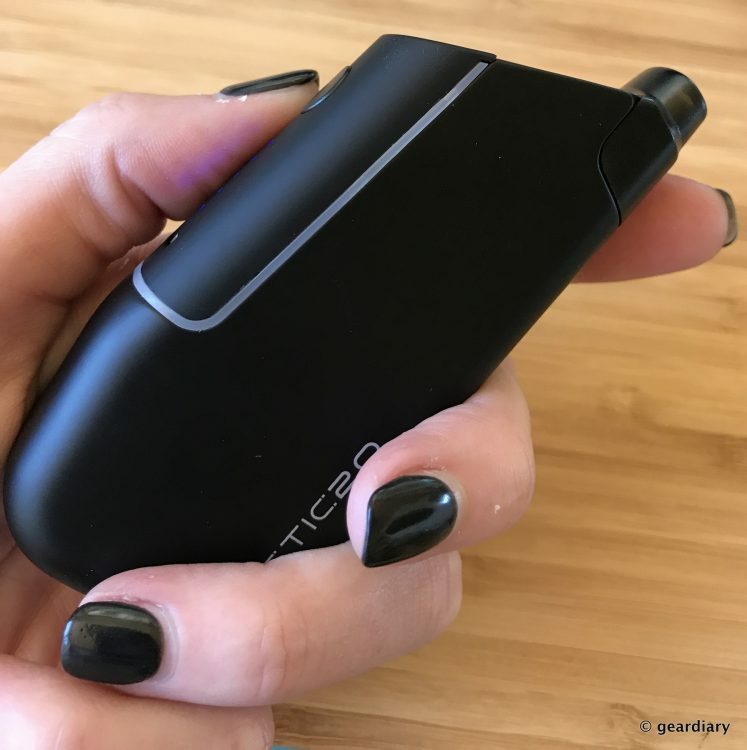 Sarah says that this is the perfect starter kit for someone who isn’t ready to customize and maintain a more complicated vaporizer; oddly enough, she likes it better than her “fancy” vaporizer. 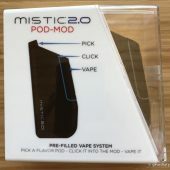 The Mistic 2.0 POD-MOD system retails for $49.99 and refill pods are $19.99, and it is available directly from the manufacturer and from other retailers. 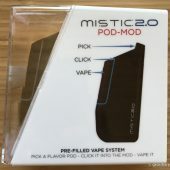 Mistic is running a special right now where if you buy $30 (or more) worth of products from the site, you can pick up a Mistic 2.0 POD-MOD vaporizer for $1 with the code NEWMISTIC2.